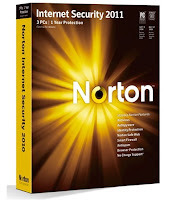 Symantec introduced Internet Security Suite for Norton to the year 2011. This version of Norton Internet Security 2011 looks better and works very impressive compared to the previous Norton releases. Symantec introduces some new features in this latest version and because of it, Norton Internet Security ranks best in Internet Suites available and most preferred by many people. Norton Internet Security is similar to Norton Antivirus 2011, but as the name implies, it gets more effective for internet users. Everything today, right from shopping, bill payments, online business transactions is done with internet and Norton Internet Security 2011 provides excellent features to put the above transactions and payments safe and protected without being hacked or misused. Lets look at the Installation, Interface, Performance and Features of this Internet Security. As all Norton releases, this Internet Security version has fast and accurate Installation and completes the process in few minutes without annoying you. You have to register in the process of installation and forces to open Norton company's Website for registration. During Uninstallation, some registry files will be left behind in program files. Overall, Installation process is fast and hassle-free with few configuration steps. Norton Internet Security 2011 comes with some changes in its Interface, similar to its Antivirus version. Dark Theme, Yellow Text, and rest of all will be same as Norton Antivirus version. Security Controls will have three components - Computer protection, Network Protection and Web Protection. Each Component has its own set of unique features. Norton SONAR (Symantec Online Network for Automatic Response) looks for suspicious software behavior. Scan your Facebook wall for malicious links. On-Demand Scanning for Downloaded files. Bootable Recovery Tool for external devices for USB, CD, DVD or any other bootable device. Power Eraser removes any fake or unwanted antivirus programs and malware programs within your system. Fast Installation, Solid Performance, Hassle-free Interface, In-Depth Scanning, Less impact on system's behaviour makes Norton strong Performance oriented Internet Security program. Lets see some performance features of this Internet Security. So, Finally if you want to have strong Internet Security Program to handle various suspicious threats and viruses, then Norton Internet Security makes things easier for you. Symantec introduces a 90 Day Trial OEM Licensed Norton Internet Security Version to people which is very encouraging. So, why late, Download Norton Internet Security 90 Days Trial OEM License Version absolutely free at Norton's Web Site or Download with below link.